Every tax season, America's hardest-working families rely on their tax refund to support their children by helping to pay down debts and put food on the table. Unfortunately, they face exorbitant, negligent, and sometimes fraudulent preparers that cost our communities millions in fees. SaveFirst provides free tax preparation services and meaningful opportunities for savings. An 18% increase over the number of families served last year. Our IRS-certified student volunteers ensure families receive all benefits to which they are entitled. These extra savings make a tremendous difference in helping hard-working families secure health insurance, pay down debts, and even put food on the table. Many student volunteers are surprised to learn how hard working low-income families are. Through SaveFirst, they gain a whole new perspective. Most nonprofit and service organizations gather support from potential volunteers and donors by utilizing media and stories about the people they serve. And the media that have proven most effective tend to portray disadvantaged populations as helpless victims, and their benefactors as saviors. The imagery and tone, whether intentional or not, can be extremely condescending, and can deepen the pervasive sense of "otherness" that perpetuates many of our social ailments. We hope our films will inspire those who watch them to develop a more nuanced understanding of these hard-working families living at or near the poverty line. Hear from some of our SaveFirst clients in short profile features highlighting their struggles and dreams as they work hard to support their families. 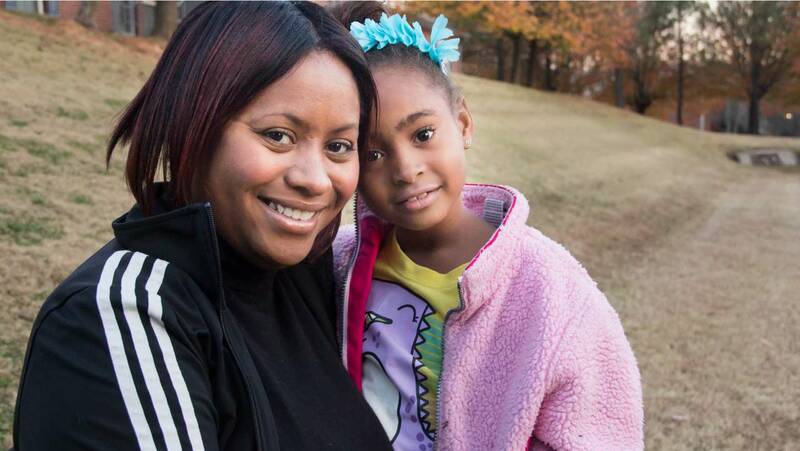 Despite working multiple part-time jobs, Antoinette Miller only makes $10,737 a year—100% of which is needed to support her daughter and put herself through nursing school. Raising five children is a challenge no matter what. But when your household income is only $41,150 a year like Rebecca & Richard Charles—it can become a real struggle. Shunte Sunday considers herself blessed to have two jobs when some people can't even get one. So she works 65 hours a week, making only $23,000 a year to support her 3-year-old daughter. Our SaveFirst tax sites have friendly, IRS certified tax preparers who are trained to prepare an accurate tax return for FREE. Headed to a SaveFirst tax site this Spring? Watch this video to make sure you have all the right paperwork to ensure an accurate return. SaveFirst exists as an alternative to exorbitant, negligent, and sometimes fraudulent preparers that cost our communities millions in fees. A $500 contribution means 50 families receive free tax preparation services, saving them more than $45,000 in commercial preparation fees. The Earned Income Tax Credit is the federal government's largest antipoverty program, aimed at lifting families—especially those with children—above the poverty line. However, many who do not have the resources or knowledge to file their own taxes rely instead on costly commercial tax preparers, collectively losing millions of dollars owed them by the EITC. That extra money could have made a tremendous contribution to helping lower-income families secure health insurance, pay down debts—and even put food on the table. Moreover, because there are no national standards or licensing procedures for commercial preparers, many set up shop in low-income communities and take advantage of hard-working families by preparing negligent, and sometimes fraudulent, returns. And ultimately, it's the families who are on the hook for any mistakes. SaveFirst is dedicated to protecting these families' tax refunds—the largest check that most will receive all year. 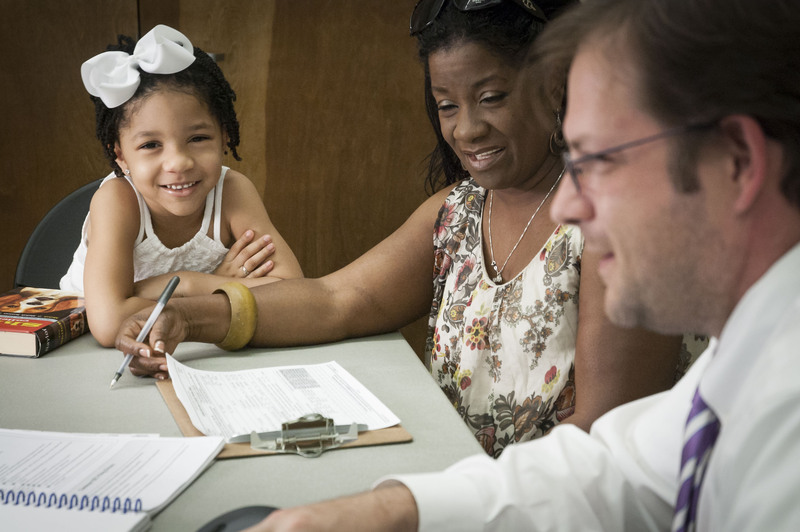 Impact America provides free tax preparation services for households earning up to $53,000 with one or more children in the home, or $20,000 without children in the home. Services are provided by IRS-certified Volunteer Tax Preparers from local colleges in the cities where our tax sites are located. We're working hard every day to ensure that America's hardest working families aren't taken advantage of by unscrupulous tax preparers. So we were honored when national news organizations like The New York Times, NPR, and MSNBC wanted to share our story. SaveFirst Free Tax Site at the Optimist Center in Huntsville Featured on NBC 48NBC 48 highlights the SaveFirst Tax Site at the Optimist Center in Huntsville. CBS 8 News Features AmeriCorps Members and SaveFirst Montgomery Tax SiteCBS 8 News highlights the SaveFirst Free Tax Preparation sites in Montgomery. WVUA 23 covers SaveFirst tax preparation in TuscaloosaWVUA 23 in Tuscaloosa interviews Lindsey Thomas from the University of Alabama's Center for Ethics and Social Responsibility about free tax preparation services provided by SaveFirst in the Tuscaloosa area. We are proud to be a partner agency for Junior League of Birmingham volunteers and financial support. JLB volunteers provide an especially high level of professionalism and expertise at our tax sites. We are excited to again partner with the Junior League of Montgomery which provides SaveFirst with volunteers and financial support. JLM volunteers help keep our tax sites staffed at the highest level! We are proud to be a partner agency with the Junior League of Memphis and are excited to have its members volunteer with SaveFirst. Fox 6, the most highly rated and watched television network in central Alabama, is our primary media sponsor of SaveFirst in Birmingham and surrounding communities. WHNT is our primary media partner in Huntsville, Decatur, Florence and other North Alabama markets. WSFA is our primary media partner in Montgomery and Central Alabama markets. Local 15 is our primary media partner for SaveFirst advertising in Mobile and Pensacola. WMC Action 5 serves as our media sponsor for SaveFirst in Memphis. Impact Alabama's Huntsville tax preparation site is co-sponsored and co-coordinated by the United Way of Madison County. The largest number of student volunteers for our SaveFirst Initiative comes from The University of Alabama, which also supports SaveFirst through providing work study students, housing our appointment schedulers, and providing office space and financial support to our staff members. We are so grateful to the companies and foundations who support SaveFirst across our footprint.